Offering high quality at a value price, this is a perfect first portfolio for students. 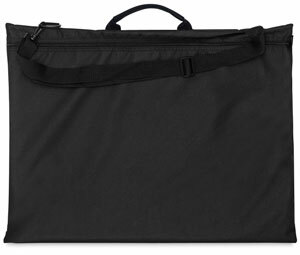 There is a full-length zipper and adjustable shoulder strap. The outer fabric is black, and water-repellent. The handle is suede wrapped for comfort. ™ Tran is a trademark.